Welcome to the CO-OP Course! The CO-OP Course series allows learners to study CO-OP basics either online or in a workshop environment, then improve and refine their skills through Consolidation and Certification. 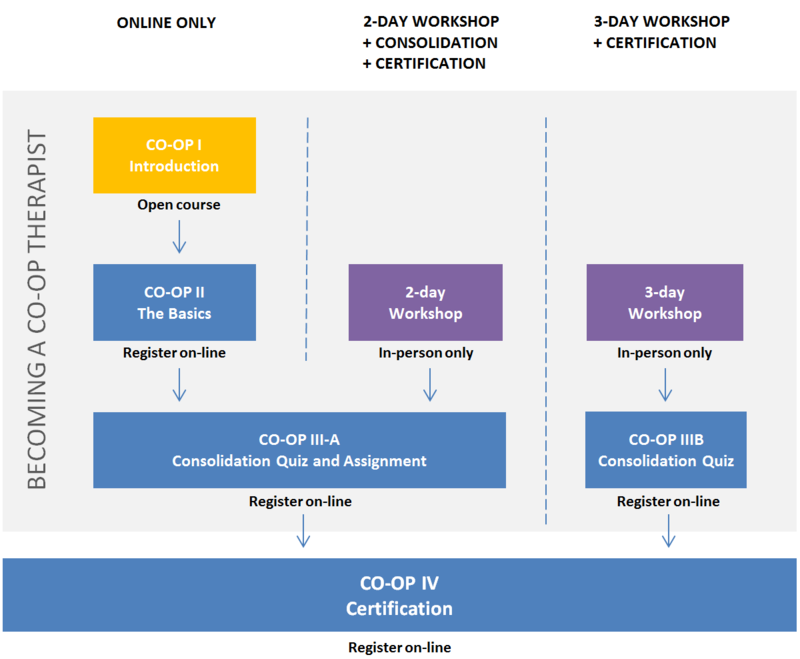 Although there are three options leading to the Certification course, Certification is not required for a learner to gain a robust understanding of CO-OP, although it is required for those wishing to become a CO-OP Practitioner. Our course options are designed to accommodate learners who wish to take CO-OP online exclusively, and those who have taken in-person workshops and wish to pursue Consolidation or Certification. 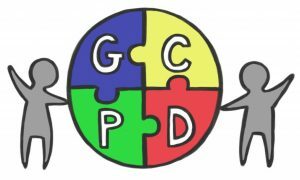 This course is available on this website in an open learning format, and is free to anyone with an interest in learning more about CO-OP. This course provides a general overview of the principles of CO-OP and will provide good background information for those interested in pursuing further CO-OP education. This course is available online through the University of Toronto’s learning management system, Blackboard. The course provides foundational information about each module within CO-OP, and facilitates skill-building through demonstration, videos and recorded classroom discussion. Module quizzes are provided to help reinforce learning. This course is available in Blackboard. It is designed for learners who have completed The Basics and would like to demonstrate and receive feedback on their CO-OP skills. This course is also suitable for those learners who have completed the 2-day CO-OP workshop with a certified CO-OP instructor. A certificate of completion is provided at the end. This course is available in Blackboard. It is designed for learners who have completed the 3-day CO-OP workshop with a certified CO-OP instructor, and who would like to continue on to Certification.